Will Lowry is a multidisciplinary designer, a Creative Partner with Flux Theatre Ensemble (NYC), and an Assistant Professor of Theatre at Lehigh University (PA). He has designed scenery, costumes, and lighting for regional theaters and colleges around the country, including: Mill Mountain Theatre (VA), Warehouse Theatre (SC), Playhouse on Park (CT), Birmingham Children's Theatre (AL), Red Mountain Theatre Company (AL), Palace Theatre/Spirit of the Dance Productions (SC/UK), Glow Lyric Theatre (SC), Curtain Call Theatre (NY), California Theatre Center (CA), Furman University (SC), Southeast Missouri State University (MO), Lehigh University (PA), Lafayette College (PA), College of Southern Nevada (NV), and numerous productions off-off Broadway in NYC. He served as assistant to the costume designer for After Midnight and Motown: the Musical, and he contributed to multiple other Broadway and off-Broadway productions as the studio assistant for six-time Tony-award winning costume designer William Ivey Long. 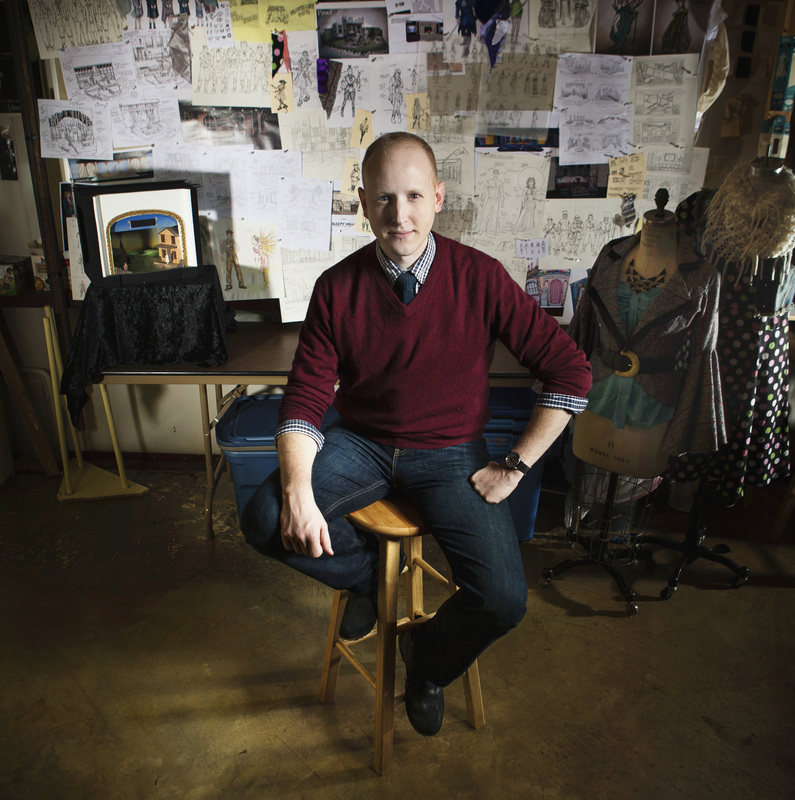 In addition to design work, he has created commissioned graphics for the Broadway costume design teams of Big Fish, Cabaret, Baby It's You, and Addams Family​ as well as illustrations for the private sector. With a set design by Will Lowry that is so elegant it creates the world while giving the chorus so much free space to move [. . .] Ajax in Iraq is a true achievement in ensemble, performance, and technical theatre. The show comes close to sensory overload in the best way, which is thanks to its technical elements. Environment designer Will Lowry takes advantage of the gritty, spooky Underground by littering the space with spray-painted signs, bare-bones stalls where the Underground's residents peddle scraps, and plywood platforms that rumble down the exposed section of old metro track. It's a post-apocalyptic Wonderland that calls to mind video games like Fallout and Bioshock. And, like the best video games, the set pulls you into another world you can see, hear, and touch. The elegant formal wear costumes by the great Will Lowry are impeccable and imaginative in Ms. Rubles’s case, a cocktail drenched in four different shades of green. Will Lowry's fanciful costumes are superb. The lighting, by Will Lowry, is very complementary to the organic color schemes and to Lowry's simple yet effective design of wood and hanging sheets of parchment. As a result, the stage of The Brick has rarely looked better. Will Lowry's set is like nothing you've ever seen, at least not in Greenville. Scenic design, Flux Theatre Ensemble (NYC), 2017. Scenic design, Flux Theatre Ensemble (NYC), 2014. Costume design, Flux Theatre Ensemble (NYC). 2013. Scenic design, Flux Theatre Ensemble. 2012. Scenic design, Flux Theatre Ensemble (NYC), 2012. Lead environment design. TBD Immersive (DC), 2018. Scenic and projection designs. Flux Theatre Ensemble (NYC), 2017. Scenic design. Flux Theatre Ensemble, 2017. Scenic design, Flux Theatre Ensemble (NYC), 2016. Scenic design, Flux Theatre Ensemble (NYC), 2015. Scenic design, Flux Theatre Ensemble (NYC). 2014. Scenic design, MTWorks (NYC), 2014. Costume design, Flux Theatre Ensemble (NYC), 2013. Scenic design, Birmingham Children's Theatre (NYC). 2011. Scenic design, Flux Theatre Ensemble (NYC), 2009. Full credits for listed productions.